THE people of Bougainville should present a unified front at the dawn of the referendum to secure a viable option of self-determination, says Autonomous Bougainville Government President Dr John Momis, pictured. 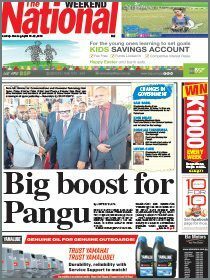 And if Bougainville can secure more than 90 per cent of the popular vote, he said it would have the bargaining power to negotiate with the Government. “After the referendum vote, we will still have to negotiate with the national government before the referendum result is ratified by parliament,” Momis said. “Securing a majority vote on one option of the referendum question secures support from the international community and it proves to the national government that this is what our people have chosen as the new path for our future. Apart from presenting a unified front, it is imperative that we implement the Bougainville Peace Agreement. He said it was the moral and legal obligation of the Bougainville Government to honour the peace agreement despite capacity constraints which had hampered the full implementation of the autonomous arrangements on Bougainville. Momis urged factions who have been causing problems for the government to end their dissension. 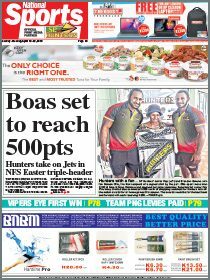 “We must realise that we stand on the threshold of a definitive period in our history yet we continue to be diametrically opposed to the government and the rule of law,” Momis said.